For women who don't have support and resources, becoming a first-time mom brings challenges. Tacoma-Pierce County Health Department and partners provide resources to help moms and their babies. Infant mortality is defined as the death of an infant before their first birthday. Many infant deaths are preventable and strongly associated with access to quality medical care, public health policies and practices, and social, economic, environmental, and political conditions. Infant mortality serves as an important measure for the health status of a population. Washington has among the lowest overall rates of infant mortality in the United States, and significant work over the past two decades has reduced infant mortality to historically low levels, from 7.5 deaths per 1,000 births in 1991 to 4.3 in 2016. However, significant disparities exist for Black and American Indian/Alaskan Native infants, with infant mortality rates twice those of White infants. The state must implement more innovative ways to decrease infant mortality in all racial/ethnic and economic groups. Prenatal care (first trimester) - Prenatal care is health care received during pregnancy. Research has found that prenatal care, particularly in the first trimester, improves maternal and neonatal outcomes. Lack of prenatal care is linked to a 40 percent increase in neonatal death. Black women are three times less likely than white women to receive prenatal care. Low birth weight (LBW) – Low birthweight babies are those who weigh less than 5.5 pounds at birth. In 2016, low birth weight was among the state's top three leading causes of infant mortality. Preterm Birth (short gestation period) – The birth of an infant before 37 weeks of pregnancy is called a preterm birth. In 2016, a short gestational period was among the top three leading causes of infant mortality in Washington. Social determinants of health – Social determinants of health are the conditions in which people are born, grow, live, work and age that effect their health in multiple ways. These factors influence the environment in which mothers and babies live, and impact pregnancy. The effects of social determinants also include things like intergenerational poverty and the stresses caused by racism. These factors affect the health of mothers and infants. Family planning to enable women have a healthy pregnancy. Education and programs that help improve nutrition for pregnant women and their infants, including Folic Acid Prior to Pregnancy and Women, Infants, and Children (WIC) Nutrition program. First Steps Program to support and ensure success to prenatal care and social services. Tobacco Cessation for a safe pregnancy and improved indoor air quality for infants. Newborn Screening for early identification of genetic and metabolic disorders. Prenatal Care to improve birth outcomes and infant mortality. 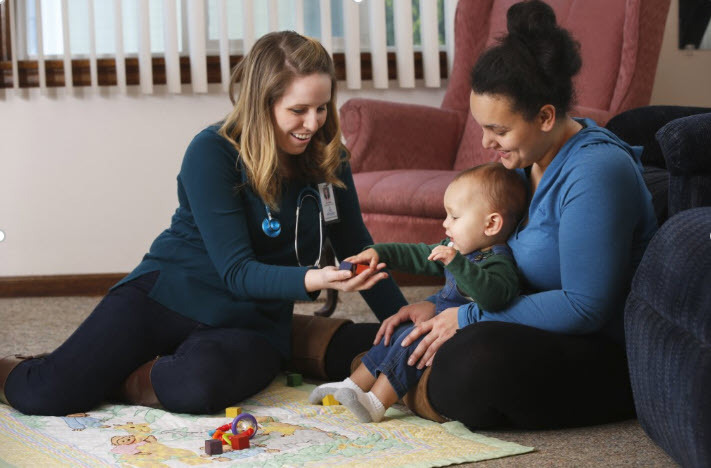 Nurse Family partnership to help low-income women achieve healthier pregnancies and births, stronger child development and a path toward economic self-sufficiency. Child profile mailings that keep parents updated on health and safety messages to protect their children. Safe to sleep campaign and C.J First Candle to promote safe infant sleep practices.